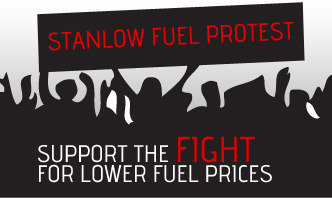 Unless you have been living under a rock for the past 7 days, you will know that today is the Stanlow Fuel protest and go slow. Our sources at the event will be keeping us up to date with the day’s proceedings, I’ll keep the updates coming as frequently as I can. Judging from the media and public interest I’ve have seen for the event in the past couple of days, its very likely that the turnout will be better than expected. 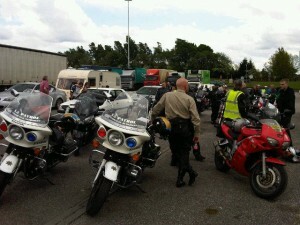 14:54 We been forwarded a video of the convoy leaving Birch Services this after noon. It seems that even a small number of protestors was more than enough to cause huge talbacks of traffic.